It's easy to damage drywall. Fixing it: Well, that can be more difficult. But far from requiring a call to your contractor, patching drywall is a DIY-friendly job you can complete in a single morning or afternoon. 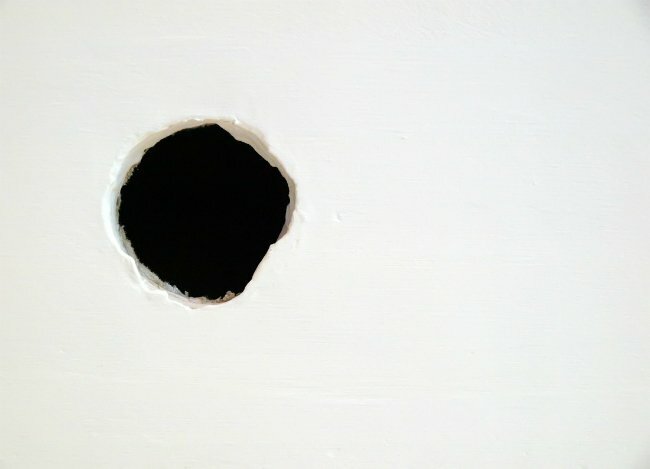 Need to patch a hole in drywall? While you can resolve smaller problems with spackling paste, larger jobs call for a commensurately larger commitment of time and materials. First, cut a patch of scrap drywall that’s larger than the hole you plan to fill. Regardless of the shape of the hole, it’s best to work with a square or rectangular patch piece. Place that patch over the hole and trace around its edges with a pencil. Next, using a utility knife or saw, cut the drywall along the outline you traced. Now cut a piece of one-by-two that’s a few inches longer than the width of the hole. Holding it in the middle, pass it through the hole and, from the outside, screw it into place on each end with a screw gun. Make sure the screws pull the one-by-two tightly up against the hidden, rear side of the drywall. Once you have that anchor board installed, insert a screw into the middle of the patch piece. Then, using that screw as a handle, position the patch into the cutout, against the anchor board. At this point, finish driving the screw all the way through the drywall patch and into the wood anchor board. Add a couple more screws to fully secure the patch against the anchor. Now you’re ready to complete the job by concealing your repair with drywall tape and joint compound!